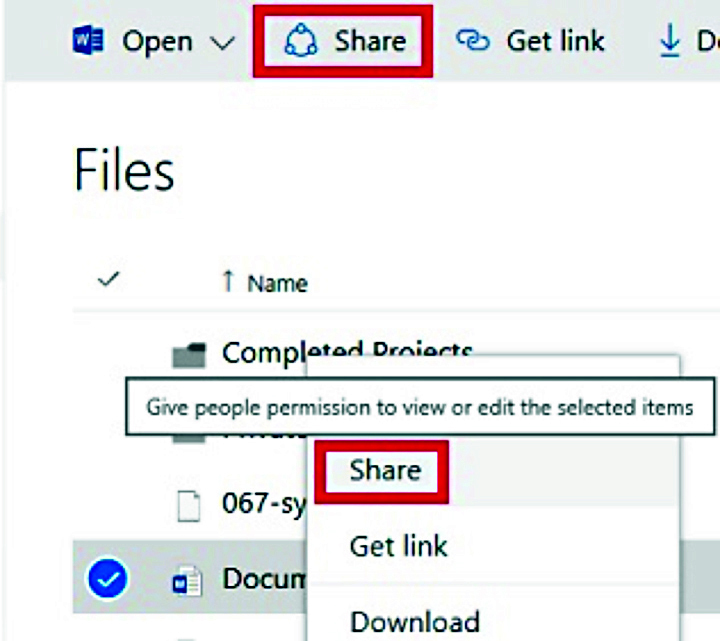 Some of the best Business OneDrive features and functions have to do with sharing files. Many improvements have been made recently that make getting files up to OneDrive, and sharing them with co-workers and collaborators, easier than ever. Let’s take a look at the ins and outs of sharing, permissions, co-authoring and versioning. In OneDrive, you can share a folder or individual files with selected individuals in your organization. If your Office 365 administrator has permitted it, you may also be able to share files outside your organization. There are three places to look for the Share function. On the menu that appears when you click the ellipses (…).